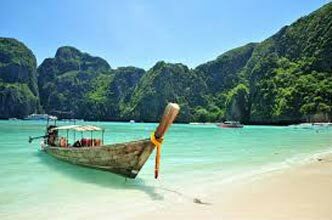 As you land at India’s most beautiful beach paradise, Port Blair – Andaman, we will greet you at the airport and transfer you to your hotel. Afternoon you will visit Corbyn’s Cove beach where you can enjoy a swim and indulge in some beach activities. Later we will proceed to the Cellular Jail for the famous Light& Sound show, where the saga of Indian freedom struggle is brought alive. Dinner at your hotel, Overnight Stay in Port Blair. 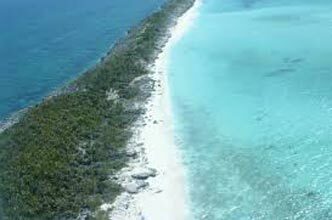 Start your day with delicious breakfast at the hotel and then proceed for a full day joyful cruising towards Ross Island and North Bay Island (Coral Island). 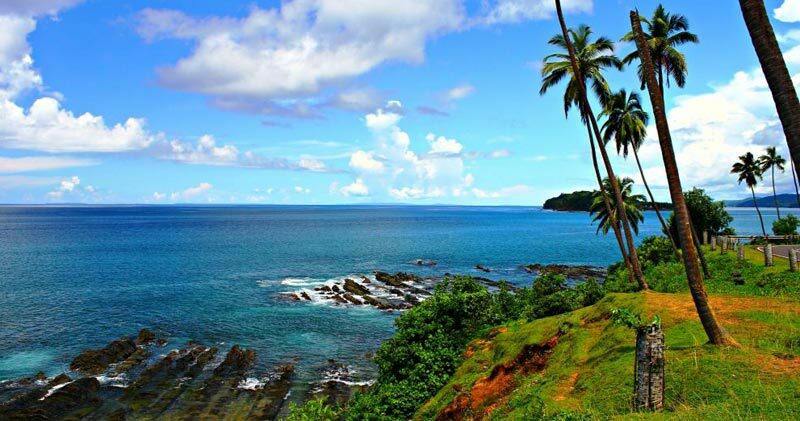 Ross Island was the erstwhile capital of Port Blair during the British regime. A small museum displays photographs and other antiques of the British, relevant to these islands. 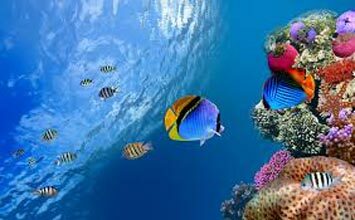 North Bay (Coral Island) offers exotic coral, colourful fish and underwater marine life. 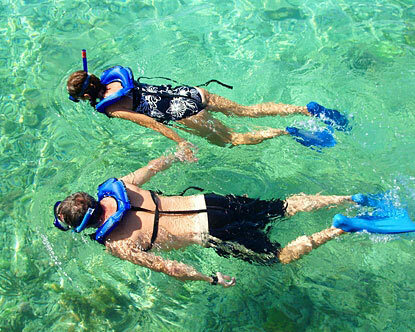 Glass bottom ride, snorkelling & scuba diving is highly recommended at this beautiful sand (on chargeable basis). Late afternoon you will return back to Port Blair. Dinner at your hotel, Overnight Stay in Port Blair. Relish your breakfast at the hotel. Later you will check out and will be transferred to Phoenix bay harbour and board the ferry for Havelock Island. The journey is approximately 1.5 to 2 hours. Upon your arrival at Havelock jetty you will be greeted by Ezeego1 representative and transferred to your hotel by car/van. 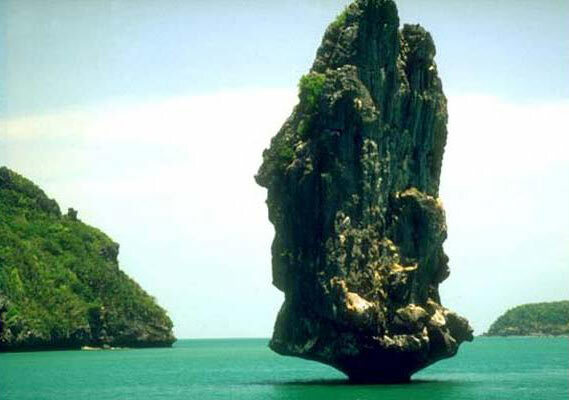 The stunning beauty of nature is the prime attraction of this island. So just relax and enjoy the beautiful surroundings of this Island. Dinner at your hotel. Overnight Stay in Havelock Island. After breakfast you will check out. Later you will proceed for an excursion of Beach number 7 also known as Radhanagar beach – this is one of the most popular and beautiful beaches of Havelock island and rated as one amongst the best beaches of Asia by Time Magazine in 2004. You also visit Vijaynagar beach today by walk. 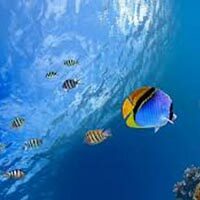 For the adventure lovers, there are a lot of water sport activities like Snorkeling, Scuba diving and sea walk at Elephant beach which one can opt for (on extra chargeable basis).Afternoon you will be transferred to Havelock jetty and board the ferry for your return journey to Port Blair. After cruising for 1.5 to 2 hours you will arrive at Phoenix Bay Harbour, Port Blair. Upon your arrival you will be met by Ezeego1 representative and transferred to your hotel by mini coach. Dinner at your hotel. Overnight Stay in Port Blair. After breakfast you will proceed for a sightseeing tour of Port Blair visiting Cellular Jail, Anthropological museum which displays the tools, models habitats, art and handicrafts of the aboriginal tribes of Andaman and Nicobar islands. Then you will proceed to Chatham saw mill – the oldest and biggest saw mills in Asia, Forest museum, Samudrika – Naval marine museum and Science Centre. Dinner at your hotel, Overnight Stay in Port Blair.